The importance of technology to business nowadays is just unparalleled. Can you imagine running a business where you would need to send documents to another party via snail mail which arrives a day or two later? And that depends on the distance too, whereas if you just emailed, the recipient would receive it in less than 5 seconds.It doesn’t matter if you have a large Connecticut office space with complete furniture, almost allbusiness operations depend on technology nowadays in order to perform well. It doesn’t matter if the business endeavor is small or big because one thing is for sure;having tech essentials is not expendable. 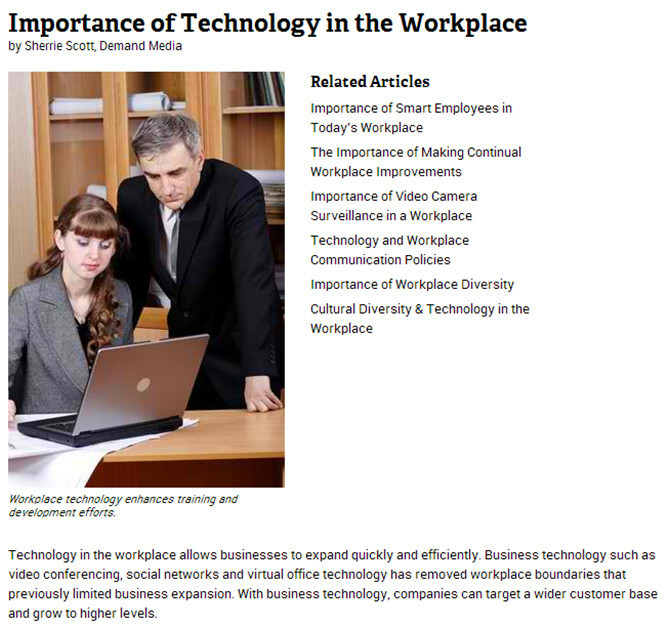 Technology in the workplace allows businesses to expand quickly and efficiently. Business technology such as video conferencing, social networks and virtual office technology has removed workplace boundaries that previously limited business expansion. With business technology, companies can target a wider customer base and grow to higher levels. Business technology is important because it improves communication in the workplace. Electronic mail allows workers to send messages instantly without interrupting the recipient. Technology in the workplace improves the efficiency of screening, recruiting and hiring potential candidates. Businesses utilize the Internet to spread the word about the organization and advertise job openings. Hiring managers can target candidates by using digital advertising technology that tracks the websites they visit. Technology like personality assessments and screening tools allow businesses to determine whether a potential candidate is an appropriate fit for the organization. Office technology saves times by speeding up the work flow process. Technology in the workplace practically eliminates space and time. Our business centers featureunits with large team rooms and elegant private suites, as well as additional private offices, offering the finest office space in Stamford, CT. All are connected with an array of broadband options and conference rooms are available with state-of-the-art videoconferencing capabilities. Our locations are equipped with superior high-speed Internet access to help you achieve business excellence.Call us today!